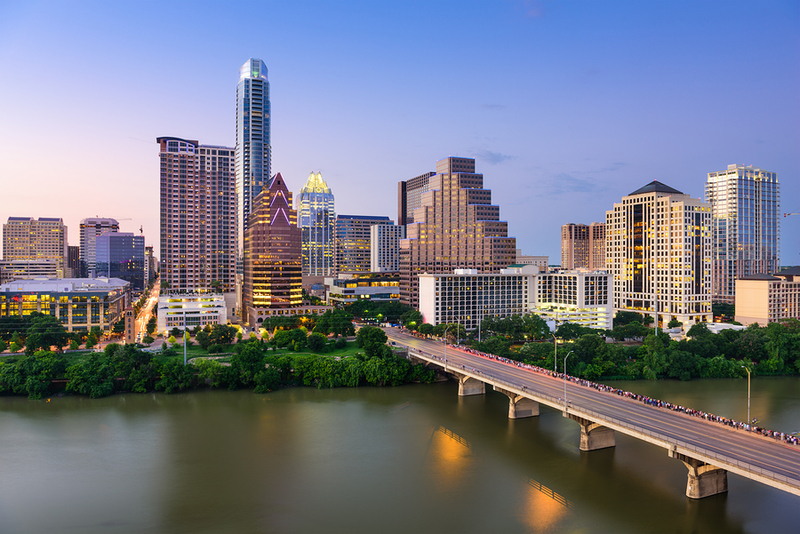 There’s no shortage of event venues in Austin, TX. Trust us, we’ve seen many of them over our 30+ years of throwing casino parties. If you’re looking for a place to host your next event, these 10 venues have a lot to offer. For super-sized events, there’s no better venue than the Austin Convention Center. It’s located in the heart of downtown, has direct access to a trolley station and can host thousands of people at once. Brazos Hall is the venue of choice for anyone that wants a truly Austin experience. It’s a wide-open space with a rustic ambiance, which gives you a lot of flexibility when it comes to seating and décor. The venue touts itself as a blank canvas with limitless possibilities. Austin event venues don’t get more quirky and cool than Mercury Hall. It’s a historic church that’s been restored and converted into an event space. Mercury Hall is a popular spot for weddings, but it’s booked regularly for private parties and small to mid-sized corporate events as well. Want to take a step back in time? Just two blocks from the state capital you’ll find Palazzo Lavaca, a historic mansion with a colorful past. The mansion is beautifully ornate and features five spaces: an open-air courtyard, the Violet Flame Bar, a Grand Ballroom, a stately Great Room and a media lounge. FUN FACT: One of the chandeliers in Palazzo Lavaca is from the Golden Nugget in Las Vegas! Tucked away in the greenery of Zilker Park you’ll find one of the most highly-rated venues in Austin. The Zilker Park Clubhouse offers spectacular views in an intimate, natural setting but can still accommodate 150 people and has parking for 100 cars. Indoor/outdoor venues don’t get much better than Palm Door on Sixth. It’s got a cool, contemporary feel and can hold up to 1,000 guests. The huge space can be configured and customized just about any way you want. For an impressive venue that’s off the beaten path, look no further than Barr Mansion & Artisan Ballroom. The renovated farmstead is surrounded by lush greenery, however, the mansion’s three-story tall wall of windows may draw attention away from the beautiful scenery. BONUS: the venue operators are all about sustainability. The Allan House has been long revered as one of the most in-demand event venues in Austin. The Victorian-style mansion provides indoor space, but the venue is most notable for its meticulously maintained grounds. Even during the dead of winter arrangements can be made to create a comfortable outdoor event space. Turn an iconic piece of Austin into your event venue! The Umlauf Sculpture Garden and Museum offers a sizeable indoor space, but the 5-acre sculpture garden is the real draw. Overflow parking and a catering kitchen make this inner-city venue perfect for parties of all sizes. Large open-air space, huge overhead fans, centrally located bar – Fair Market is set up to handle just about any event no matter the season. There’s a decidedly industrial feel to the space, but it’s easy to dress up to fit your party theme. Need help selecting a venue? At Casino Knights Inc., our experienced party planners can provide suggestions for private events, fundraisers and corporate casino parties. Give us a call today!